Information System of Cash Handling Services (RS4 CC) is designed for cash processing, collection, transportation and related procedures. The system incorporates a comprehensive range of cash management processes as well as all the contracts between banks and their customers with respect to the cash delivery services. The powerful information system provides complete functionality for cash collection, counting, packaging and delivery according to the banknotes and different currencies, planning of transportation routes to the banks, customers, storages and ATMs, generation of cash delivery orders and appropriate documents. 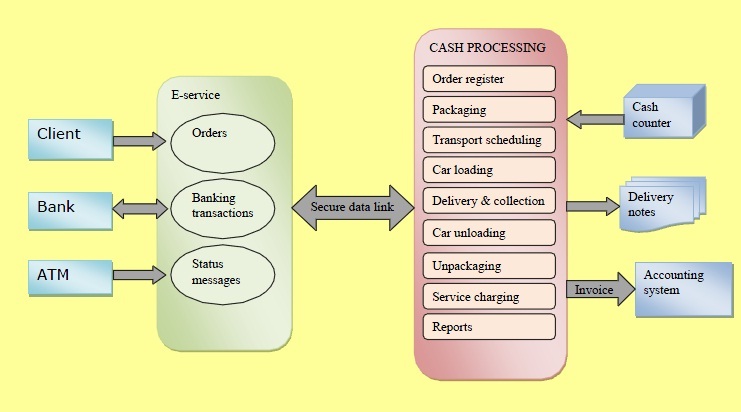 All the numerous working processes of cash transport and cash processing are combined into one complete computerized environment to manage- RS4 CC.